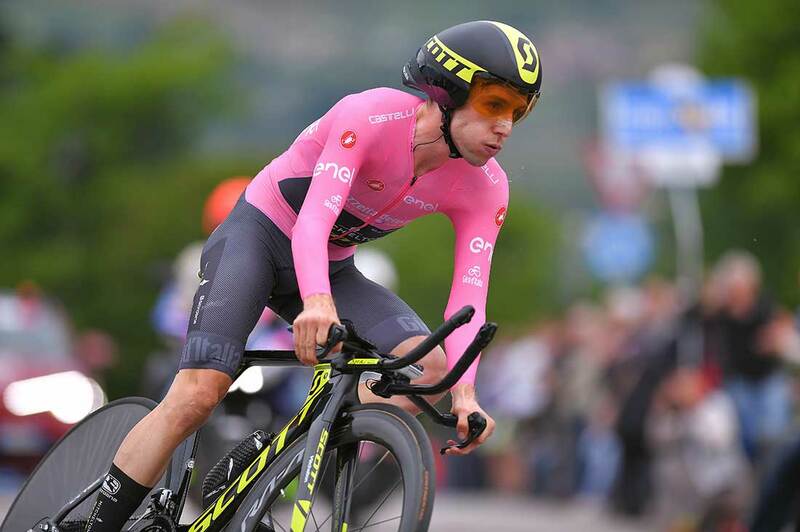 After leading the Giro for weeks and collecting three stage wins, Simon Yates crumbles, but he insists he has no regrets. 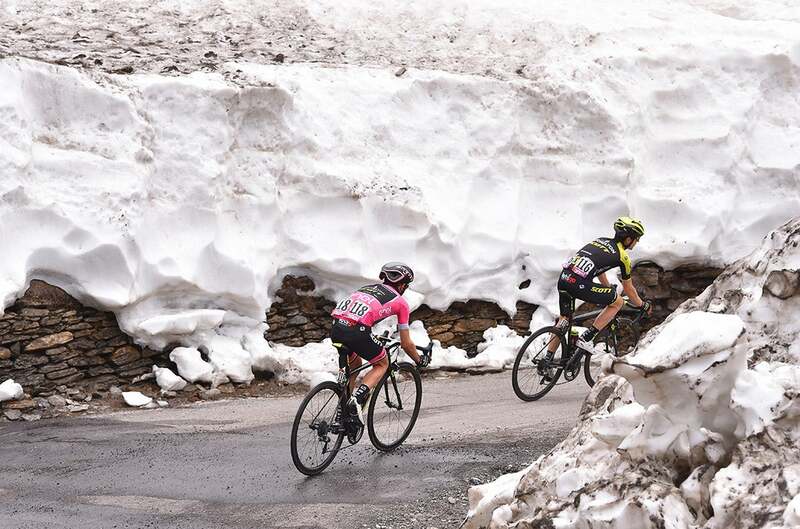 JAFFERAU, Italy (VN) — Simon Yates dominated every mountain day in the Giro d’Italia, so it seemed natural that the British star would ride into Rome the race winner Sunday. But it wasn’t meant to be. Mitchelton-Scott’s 25-year-old climber showed minor weaknesses Thursday at Prato Nevoso, but exposed his fading form to all Friday over the Alpine roads to Jafferau in stage 19. Yates’s lead of 28 seconds over Tom Dumoulin (Sunweb) turned to a deficit of 35:42 minutes to Chris Froome (Sky). He had taken the pink leader’s jersey on the famous Mount Etna in Sicily. He rode with it from south to north for two weeks. The team had indicated that it was too much, that through inexperience, he took it too early. However, Yates proved capable and won three summit finish stages in the mountains. Sunday, he blasted away solo from his rivals with 18 kilometers to race to Sappada. Some have questioned whether Yates burned too many matches in the first part of the Giro, but doesn’t admit to having any misgivings about his strategy. He came away with a virtual win in stage 16, the 34.2-kilometer time trial and his weak point. He lost only 1:10 to Dumoulin, the world time trial champion and the most serious threat to his pink jersey. That is when Yates’s smile began to hide his suffering. Over the last three days, he kept his secret as best as he could. Yates’s day unraveled quickly after the Giro peloton rolled away from Venaria Reale, just outside of Turin. Team Sky sent men in the early breakaway. When that did not work, Froome had his teammates push the speed steadily as the Colle delle Finestre approached. When Yates began to fade, Froome launched a massive solo 80-kilometer move. His eyes watered as he spoke. Yates, the twin brother and teammate of Adam Yates, had already placed sixth in the 2016 Vuelta a España and seventh in the 2017 Tour de France as the best young rider. This was his chance to win a grand tour finally. It passed him by at the last moment. “Hardest day in my life? Yeah, yeah. But I’ll be back. I’ll be back to win someday,” Yates continued.